Maldives is quite possibly the most romantic archipelago on earth, with perfectly placed, palm tree-cloaked islands, pearly white beaches and surrounded by crystal-clear, turquoise waters along with private, over-water bungalows strung over the sea. Truly a natural wonder, the islands rarely exceed two meters in height. The country's 26 natural atolls offer nautical delights from night-fishing trips, windsurfing and scuba-diving. 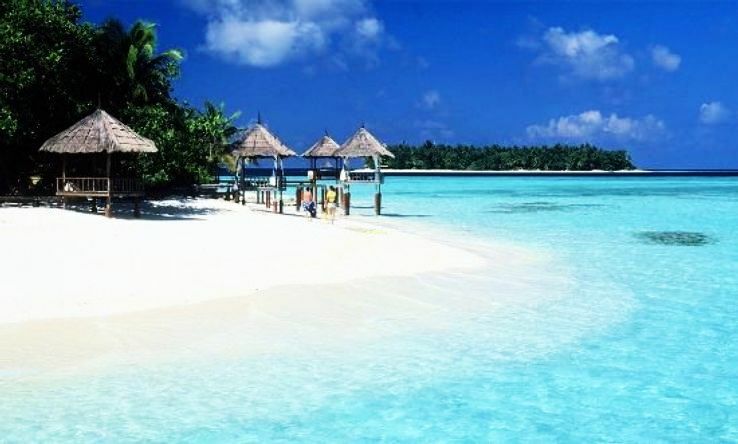 Maldives is also one of the most famous and most visited destination for honeymoon. Many of the Maldives tiny islands have been converted into luxury resorts, where your every whim is met, and where romance seems never-ending. It is a perfect summer destination for honeymooners and a romantic paradise. Be sure to ditch your shoes and head for your own private bungalow, set behind your private strip of beach or the over-water bungalows, then dip into the ocean straight from your private porch The soft white beaches and cobalt blue waters are great for sunbathing and relaxing. The climate of Maldives remains romantic throughout the year, but if you are planning your honeymoon in summer so this is the most favorable destination. Maldives also offers Diving, Water sports, Spa and wellness. These islands are the best place to have one's dream honeymoon. The sparkling waters, the breathtaking beaches and beautiful resorts attract honeymooners from all over India. Where there are such wonderful beaches, trekking, scuba diving, snorkelling and deep sea fishing are all sought after. The best part of the honeymoon is when you can hire a tent and camp on the beaches. Seems like the genie has fulfilled the couple's wishes! No wonder it is in the top list of every honeymooner in India. One can enjoy the under-water marine life and view the rarest ieties of corals by snorkeling in the Mahatma Gandhi Marine National Park, Carbyn's Cove Tourism Complex, Havelock and other islands on all days from dawn to dusk depending on the weather. Jolly Buoy - an island in Mahatma Gandhi Marine National Park, offers a breath taking underwater view of coral and marine life. It is an ideal place for snorkeling , sea bathing and basking on the sun kissed beach. 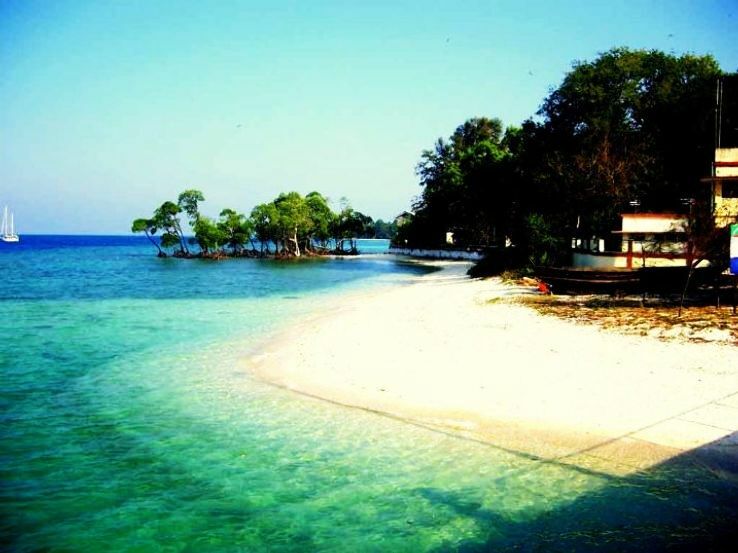 See the beauty of Andaman in above photo. 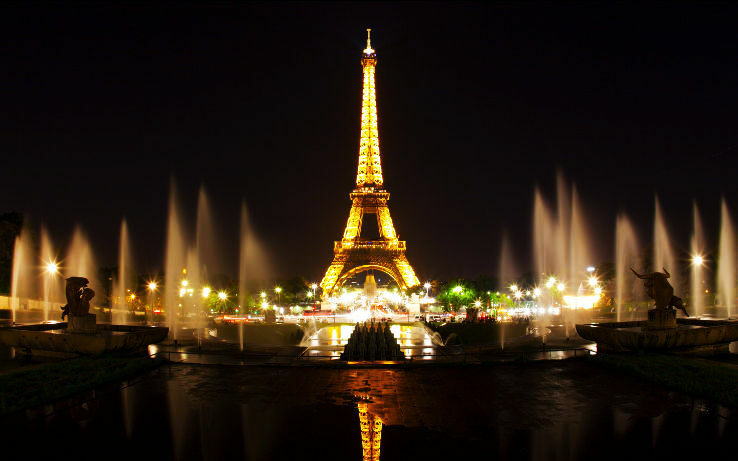 France is one of the most romantic place on the earth. The welcoming people, the influential culture and history, the gorgeous and ied landscape, the vibrant and essential cities, and of course the cuisine, all blend into a one-of-a-kind experience that will live on in your memories well after your last au revoir. The country boasts extraordinarily diverse and beautiful terrain from rolling hills and lavender fields in Provence, majestic Alps in Bordeaux, a wind-swept coast in Brittany to the west and balmy luxuriousness of palm trees and warm sun in the Riviera down south. Major and most visited tourist attractions in france are Chartres Cathedral, Dune of Pyla, Palais des Papes, Chateau de Chambord, Chateau de Chambord. This land has the best in fine wine, strong cheese, exquisite breads, extravagant chateaus, fantastic architecture and attractions as unique as they are breathtaking. And don't forget the cafes and bistros, museums and gardens - all inspiring the sublime essence of love. Taking it all in is virtually impossible, but that's actually great news-now you have the ideal excuse to return one day to renew your vows! When you are looking for a honeymoon full of old world charm and romance, a trip to Italy guarantees you will get lost on cobblestone streets, in old classic churches and bistros out of paintings and fall in love all over again. 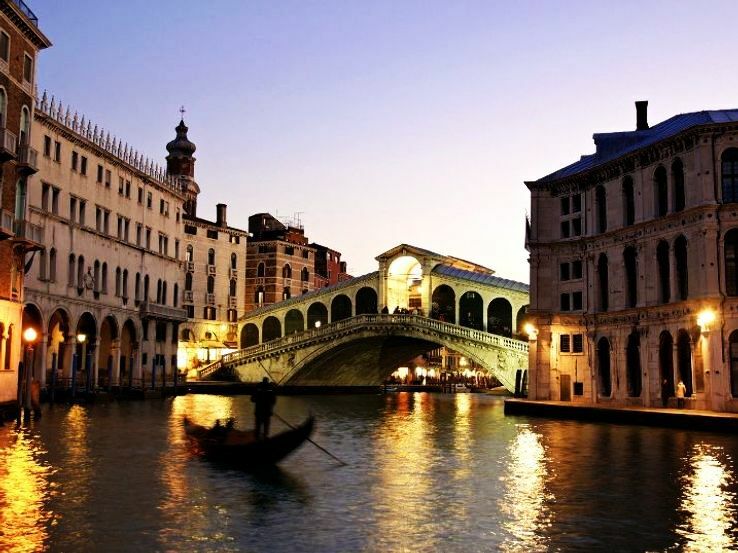 No matter the part of Italy you chose to explore you will no doubt find yourself taking moonlight walks, enjoying scrumptious meals, experiencing wonderful museums & art, great wine, fabulous culture and feel as if your feeling as passionate about each other as you are about life. from the drama and character of Rome, the romance and one-of a kind atmosphere of Venice, the rolling hills of sunflowers in Tuscany, the endless Florentine culture & shopping in Florence, to the amazing and gorgeous views from the lake and mountains in Lake Como, there is something for everyone. From the drama and character of Rome, the romance and one-of a kind atmosphere of Venice, the rolling hills of sunflowers in Tuscany, the endless Florentine culture & shopping in Florence, to the amazing and gorgeous views from the lake and mountains in Lake Como, there is something for everyone. best time to visit italy is May to September. 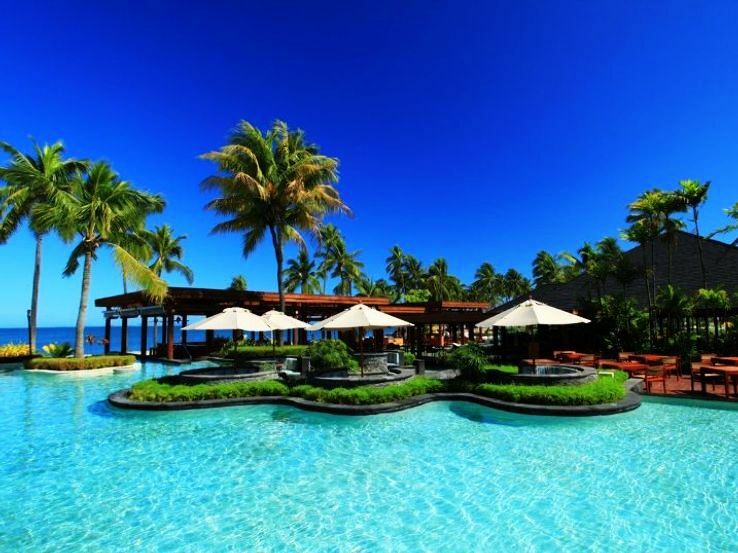 Fiji is one of the most romantic places for a honeymoon. Because of the coral and the excellent visibility in the waters around Fiji, you can also look forward spectacular snorkeling. An excursion to Beqa Lagoon - the crater of an extinct volcano - won't disappoint. Turtle Island is particularly known for romance. It is home to the Turtle Island resort that can only accommodate 14 couples in a one-of-a-kind setting. Here you can explore the Blue Lagoon by day and rendezvous on the beach for a candle lit dinner in the evening. If shopping is a 'must', it's duty-free here. For jewelry, nothing compares with the purchase of some black pearls found here off Savusavu Bay. Taveuni Island, Yasawa, Turtle Island, Denarau Island, Nadi are the most popular attractions of Fiji which attracts many travelers and young couples to explore the beauty of Fiji every year. You will discover a place that is known to be as Earth's modern Eden, where every inch of the islands will fill you bliss, serenity, and romance. Aside from spending time trying the many water activities available, you can also explore and find steaming hot springs that have been prepared by volcanic craters. Life's a beach in this destination and going from island to island will make you come back for more. best time to visit fiji is between April and early-October. weather remain relaxed and comfortable in these months. Greece has an enormous amount of fun, culture and great sites to offer honeymooners making the dazzling Greek Islands some of the most desirable destinations for honeymooners worldwide. Among the many islands of Greece there is Mykonos and Santorini that offer and are known for their spectacular views and unique character.Some must see attractions are the Red Beach, watching Acropolis at night, sunset at Cape Sounion and the ancient Palace of Knossos in Crete. You can go sailing, or rent a chartered yacht or go greek dancing at Kalokerinos Taverna The choice of a Greek honeymoon is every couples chance to discover a new and stunning civilization, soak in the sun and meet friendly, fun-loving people that will leave an a long and lasting impression with wonderful memories. Whether you want to wile away the hours on a cafe terrace, or explore centuries-old ancient ruins, the islands will offer you what you are looking for. May, Jun and Sep, Oct are the best months to visit this place. Say "aloha" to love and romance on this magical island where you will spend your days lounging by the pool or beach or exploring the many natural wonders of this tropical heaven. The most popular three islands are Hawaii The Big Island, Oahu and Maui. Spend your nights dancing in the moonlight, enjoying fabulous foods, culture and romance in these islands that many say were created for lovers. Hawaii also give you a lifetime chance to swim with manta rays, horseback ride, and whale watch. There's nothing more romantic then long walks on the beach, sunsets and the sounds of guitars softly playing as you relax the night away. These islands don't only offer beaches and romance they also offer culture, adventure and diversity which is why couples opt for Hawaii. Mexico has beautiful natural settings, top-notch tourist services and exquisite cuisine and that is what attracts honeymooners to this place. For honeymooners who are looking for a warm tropical getaway, consider these three unique destinations Nueva Vallarta, Huatulco and the Mayan Riviera. These places boast beautiful beaches surrounded by lush vegetation, great outdoor activities and a tourism infrastructure capable of pleasing the most demanding newlywed. With ious entertainment options, as well as golf courses, spas, beautiful swimming locations, archaeological zones, museums, nature parks, bars and nightclubs you will never be bored. If you're looking for a more romantic spot with tradition, legends and intimacy, Taxco and Guanajuato are straight out of a fairy tale. Jun to Sep are the 4 months when Mexico tourism at its peak season. French Polynesia is one of the most luxurious honeymoon destinayion. French Polynesia is a group of Polynesian islands which is the overseas country of the French Republic. It has the perfect white-sandy beaches surrounded by emerald waters that could easily be described as the center of the romantic universe . To make this 'center' true to the description, luxury resorts and spas strategically placed around the island with over-water bungalows, thatched roof villas, and fabled ambiance makes these islands a must visit place. The most famous islands are Tahiti, Bora Bora, Moorea and others and they are known for dramatic landscapes, bright blue waters that support just about every water sport you can think of. Explore its magical islands and relax on secluded beaches, take a dip in a cerulean lagoon and trek through lush rainforest on one of it's islands. The high season in French Polynesia extends from May 1 to October 31.